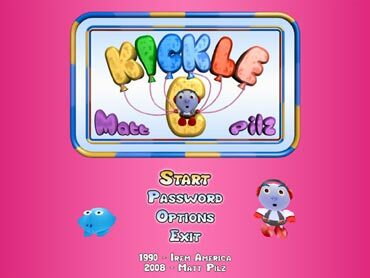 Welcome to the official home of the Kickle Cubicle remake, KickleC! 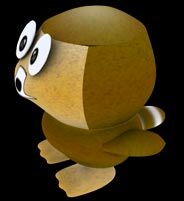 In KickleC, the goal is to collect all of the Dream Bags from within each level while carefully avoiding the various enemies and other hazards that you may encounter. Many of the Dream Bags will initially be inaccessible, and will require that you build bridges across the open water using ice blocks and logic. You can create new pushable ice blocks by freezing Noggles (those blue blobby looking creatures). 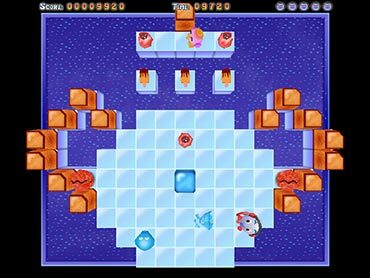 You can also create or remove pillars while over certain platform types--which are useful in stopping moving ice blocks, shielding yourself from enemies, and so on. 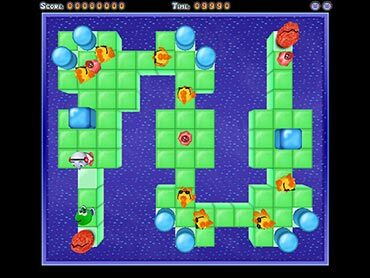 Ice pops can be collected for points (the time remaining at the end of each level is also added to your score), and extra lives can be collected on certain levels. Finally, power cells exist on certain levels which, if activated, will instantly freeze all freezable enemies on the screen. 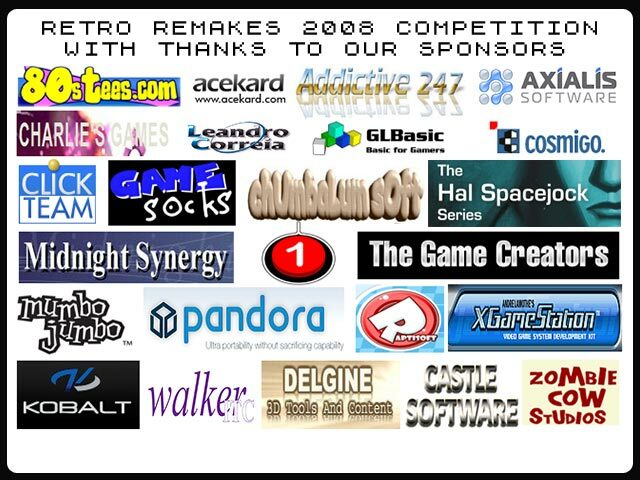 KickleC is meant to be a faithful, total 3D remake of the original NES game "Kickle Cubicle" by Irem America. 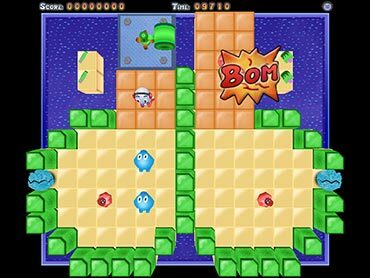 The arcade version of Kickle Cubicle contained fewer levels than the NES port and a different sized playfield; many of the arcade levels exist similarly on the NES edition. Even so, there are some differences in gameplay and features.